If you have upcoming event for Fashion, Music or Entertainment, this beautiful flyer is perfect for you. 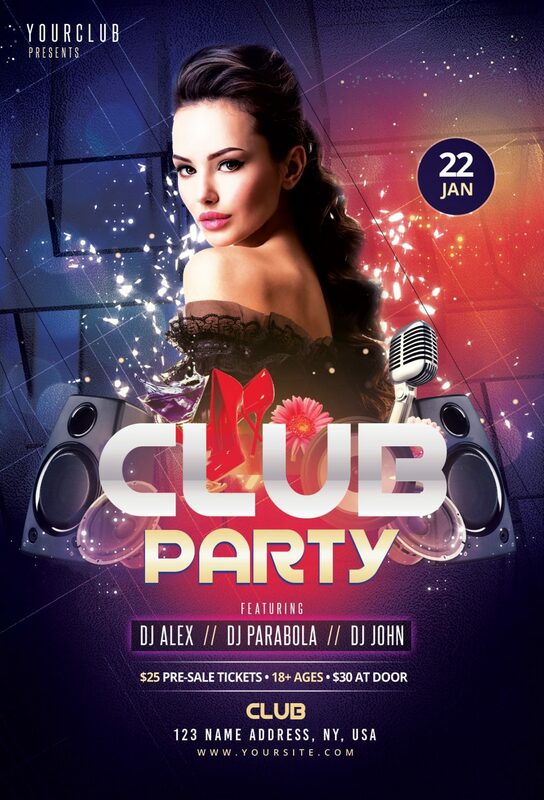 Club Party Flyer is a Free PSD Flyer Template to download. PSD File is very well organized in groups and every layers have their own groups. Help file have a guide on how you can customize colors and more helpful information.